As I mentioned, I recently married and there is a cultural difference between me and my husband. We are both Americans, but I am of German decent, and he is of Filipino decent. He did not know what the term “comfort food” meant. Being of German decent, I am all too familiar with that term. 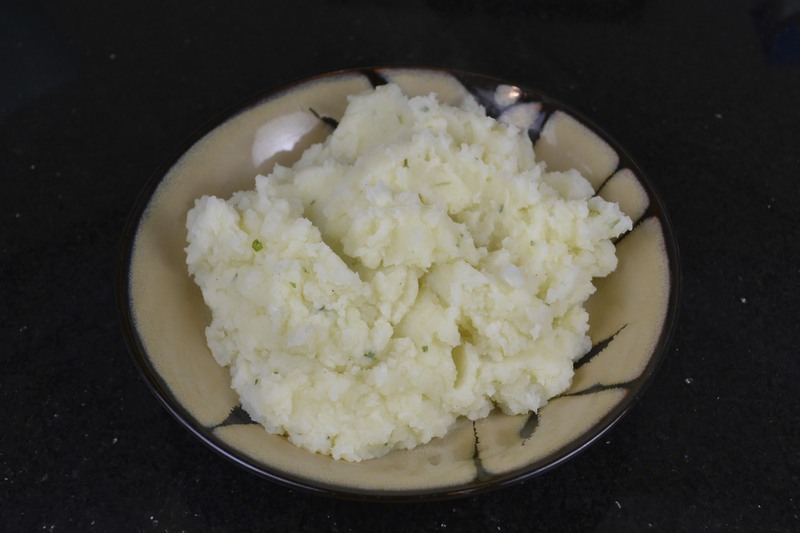 Growing up, I would eat mashed potatoes with bread, kinda of like the Polish Pierogie. The starchier the better. Anyway, in this recipe, I am using less butter and substituting low-sodium chicken broth for the milk. I have discovered a line of freeze dried herbs made by a company called Litehouse. 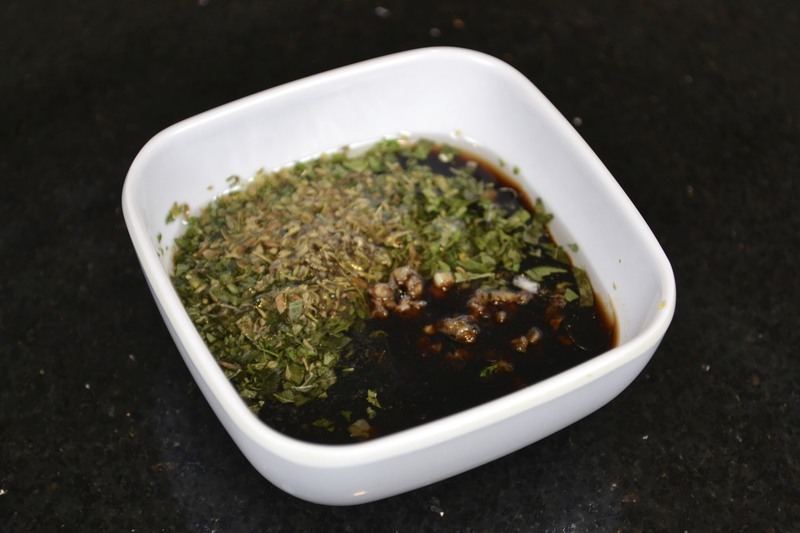 They are the closest in taste to fresh herbs, and they are so convenient. 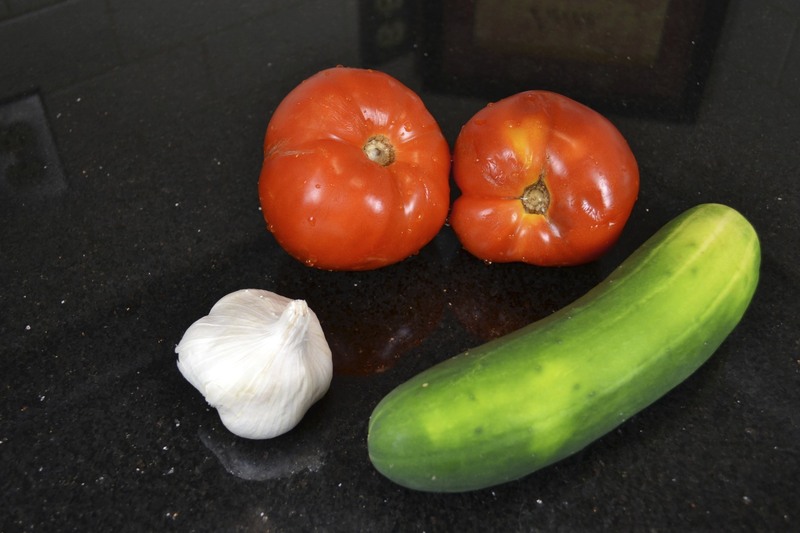 Having high blood pressure, I try to use as little salt as I can without making the food taste too bland. This is why I have turned to herbs and spices to add flavor to my foods. 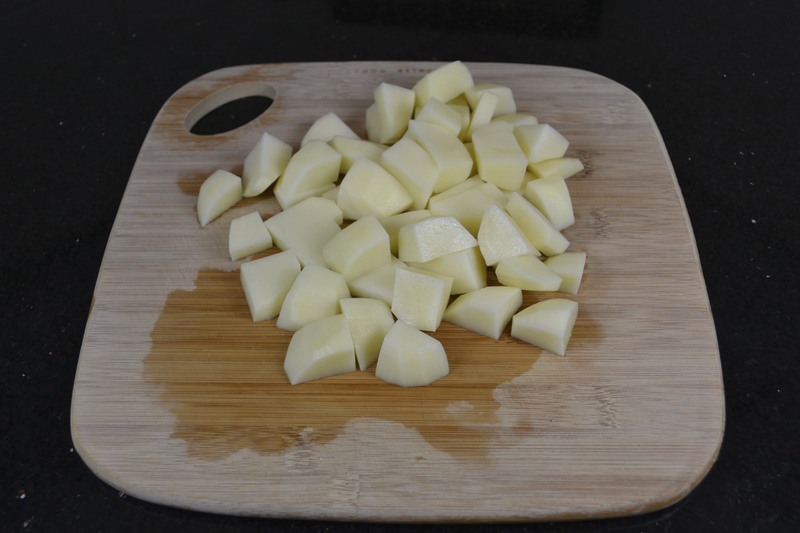 So, for this recipe, I started by peeling and dicing the potatoes. I cooked them in water for about 20 minutes, drained them and set them aside. 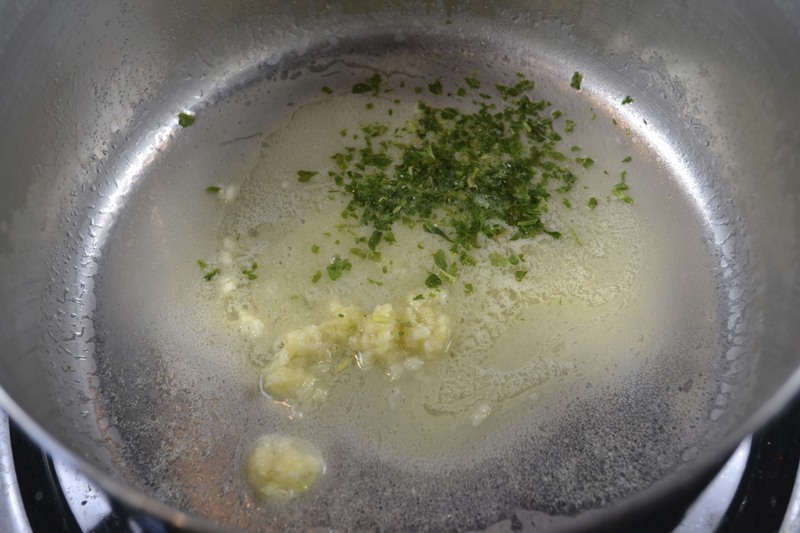 In the same pot, I added the butter, sauteed the pressed garlic and added the parsley. 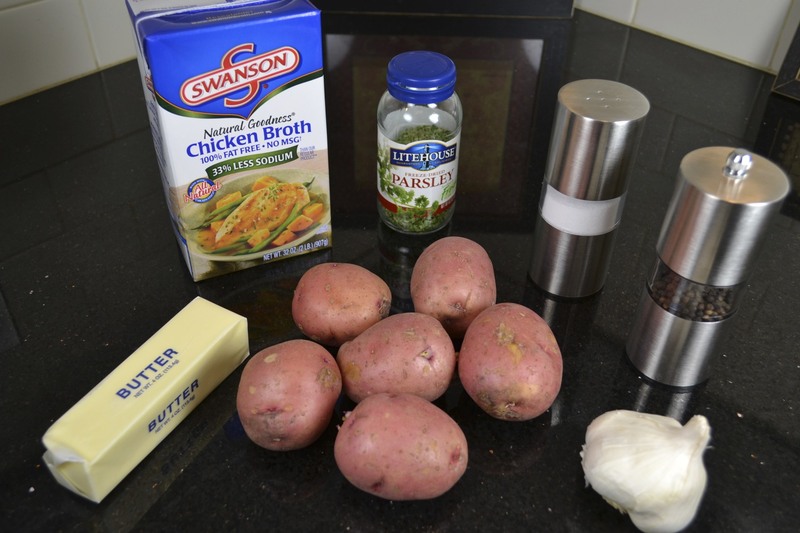 I added the potatoes, chicken broth, salt, and pepper, and mashed the potatoes with a hand masher. I don’t mind lumps, and John ate 2/3 of it! 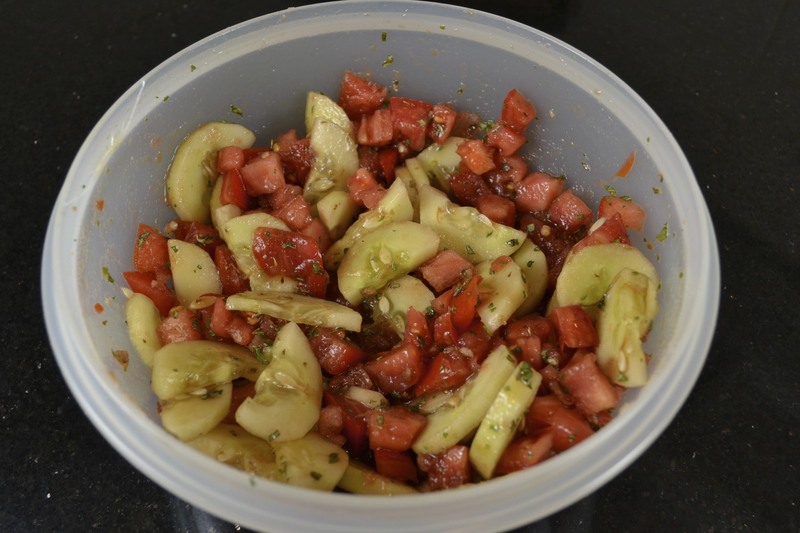 Of course, this recipe is for all year long, but there is nothing better than fresh salsa, and it is the perfect time of the year for it. Even if you don’t have access to fresh tomatoes, you can get these gorgeous vine ripened tomatoes pretty much all year long at the grocery store. 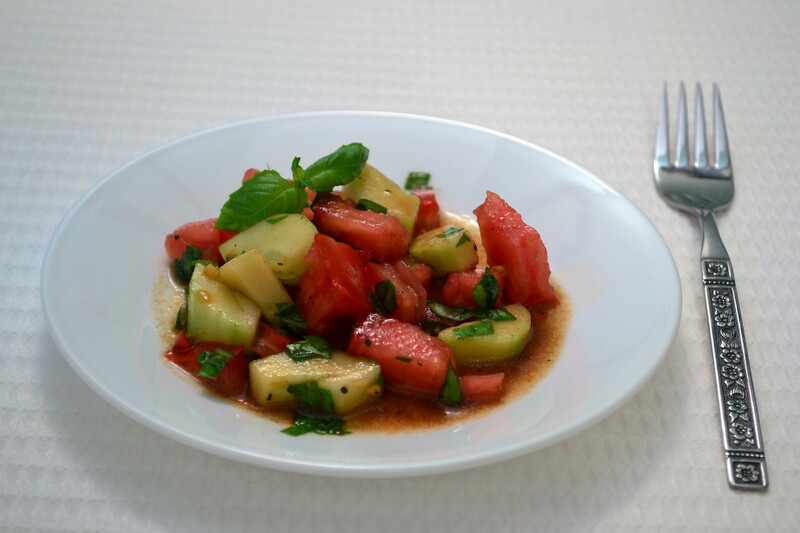 This recipe is adapted from my good friend, Donna, whom I lovingly call, Ma Donna. She is an awesome cook. 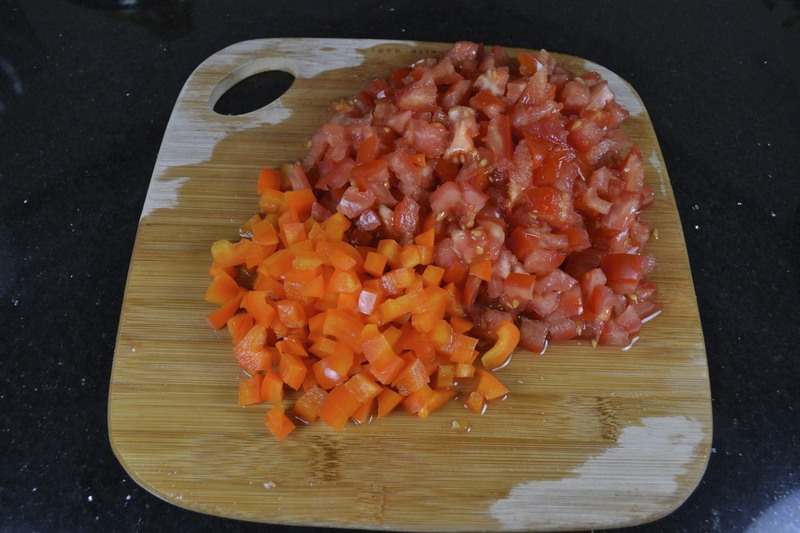 I start out dicing the tomatoes, peppers, and onion. 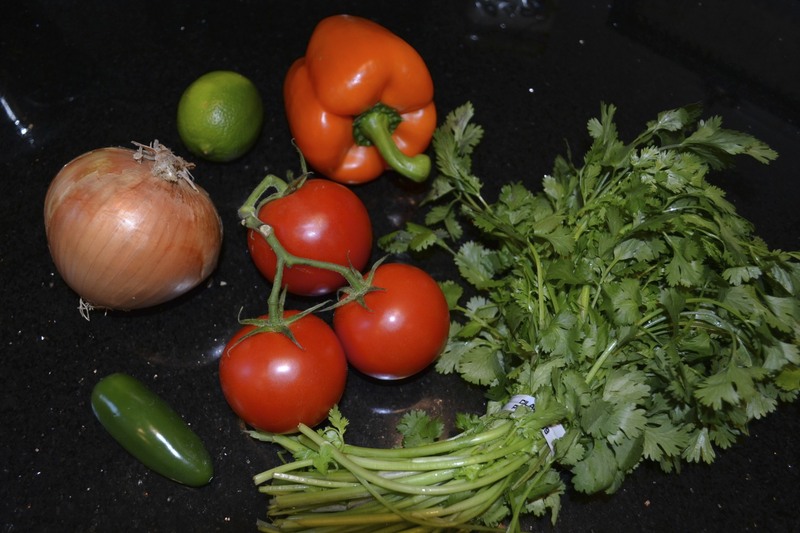 I prefer to use red, yellow, or orange bell peppers, because I don’t like the green ones, and it adds another element of color. 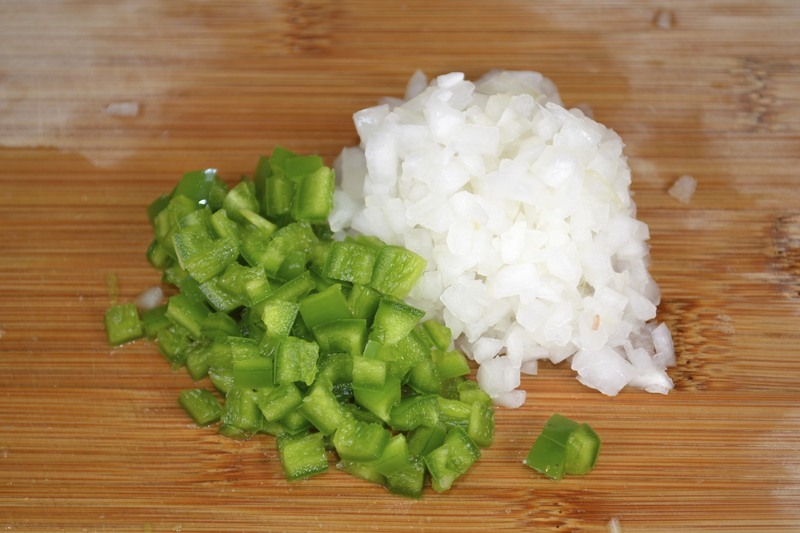 I remove the seeds from the jalapeno, before dicing, since that is were most of the heat lives, and I don’t like my salsa too hot. 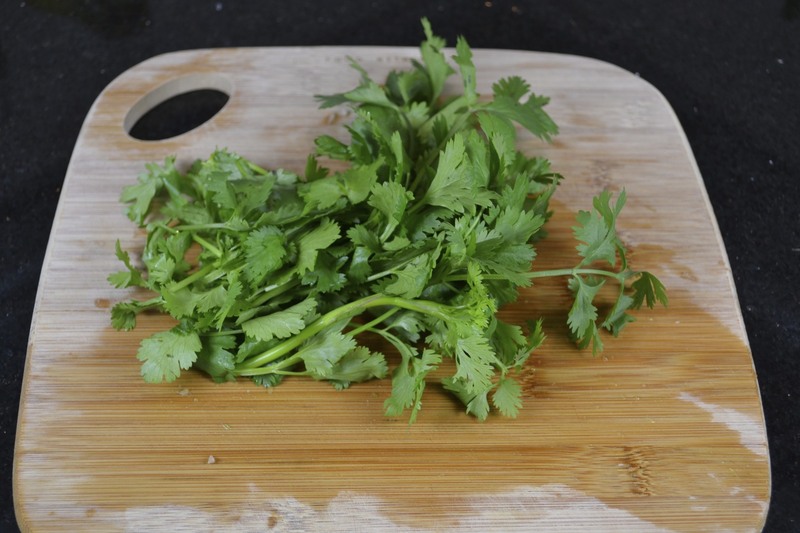 Next I use the leaves of the cilantro and chop them finely. I am combining the ingredients in a bowl as I work. 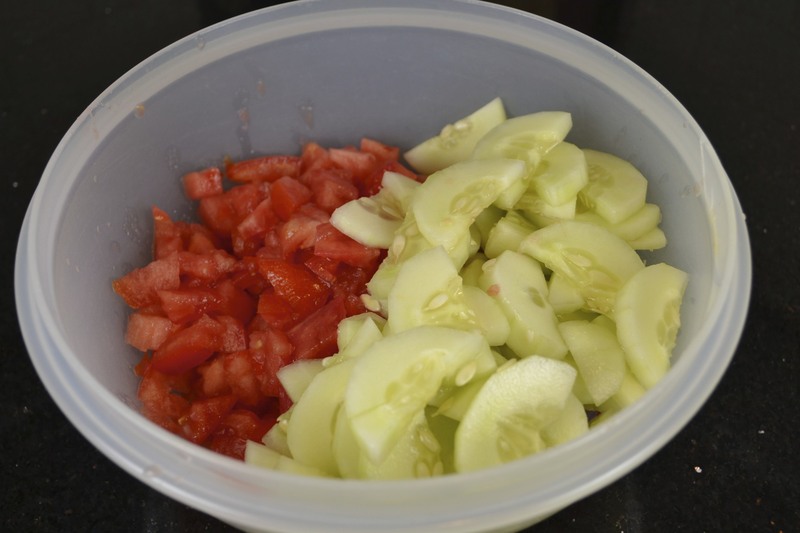 Lastly, I add the lime juice, cumin, salt, pepper, and Red Hot. I used about 10 shakes of the hot sauce. You can adjust the spices to your taste. 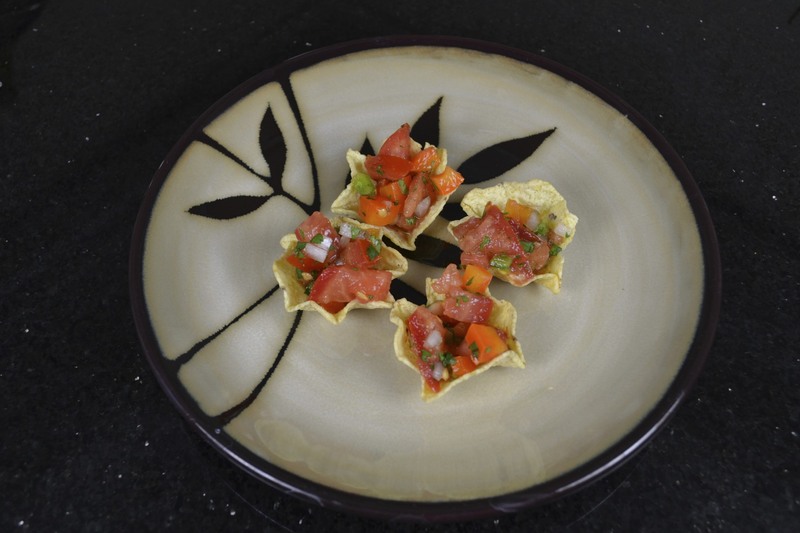 To save on fat and calories, I use Tostito’s baked scoops. 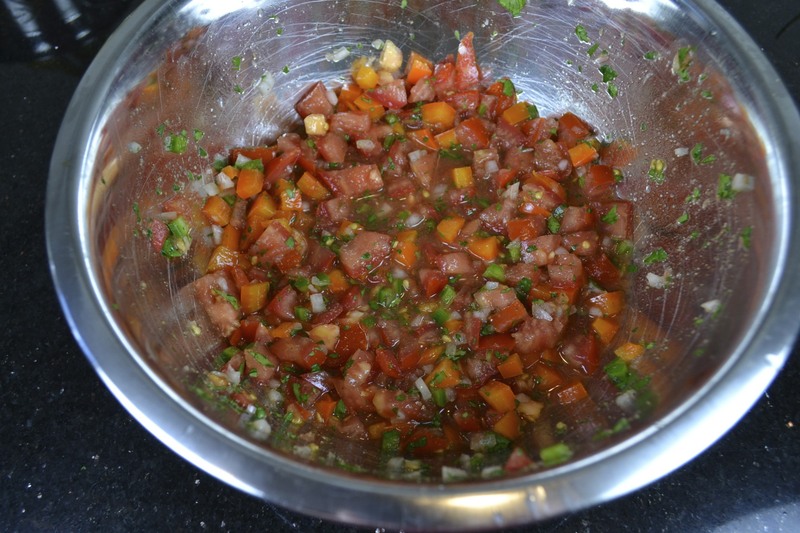 You can get a lot of salsa in the scoops, and I love that!